The 24th Amendment to the United States Constitution was ratified in 1964, prohibiting the government from issuing taxes on voting participation in federal elections. The Amendment laid the foundation for expanded voter protection from poll taxes at all levels of government. The poll tax had long-been a principal impediment to African American participation in elections and thus was instrumental to perpetuating American Apartheid since Reconstruction. The Amendment radically changed the nation’s voting landscape by making it possible for citizens of color to enjoy the same privileges of full citizenship as their white neighbors. In view of the Amendment’s gravity and historic reach, we wish we could talk about how far we’ve come since then. Given present-day hostilities to equal-protection in elections, however, we’re forced instead to give a solemn review of what recently resurrected financial barriers to access (read: modern-day poll taxes) challenge North Carolina’s voters today. 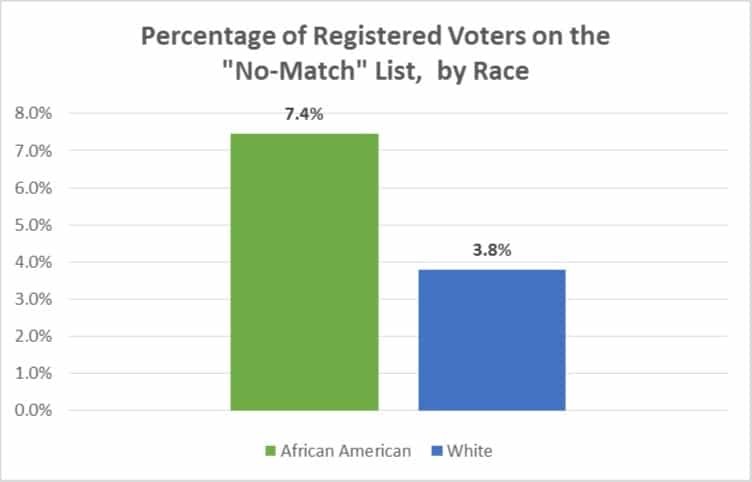 In 2012, 318,644 registered North Carolina voters lacked DMV-issued photo IDs with names that matched those found on their voter registration cards, according to data collected and posted by the State Board of Elections*. 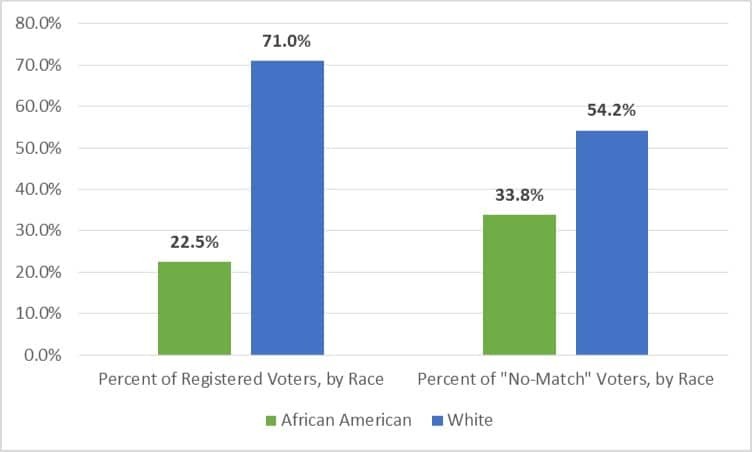 A review of this data showed that North Carolina’s so-called “monster voting law” (rolled out in part this year and which will require a voter to present a valid photo-ID beginning in 2016) will disproportionally burden African Americans, women, and young people. These real costs in time and treasure are further compounded if voters don’t already have the necessary documents to obtain a DMV-issued photo-ID. Add to that running tally of expenses to vote the missed hours from work, the transit costs, and the extra energy expended to procure every document, whether it be a copy of a birth certificate, social security card, tax form, school document, marriage certificate, or military record. Cohen rightly notes that each of these scenarios exists as a barrier to voting access and each is built onto a pre-existing landscape of American inequality. Modern-day poll taxes aren’t limited simply to the costs to acquiring a valid voter-ID, either. They’re manifest also as hours lost waiting in line to cast a ballot. With North Carolina’s newly-reduced early voting period this November, voters can expect to miss more hours from work waiting in lines to vote than in those elections of recent past. Voters won’t get a receipt for today’s poll taxes because they’re cunningly disguised as costs that already and disproportionately affect minorities and the working poor. This ruse may make it easier for voter-ID proponents to shill their agenda but it doesn’t change the fact that North Carolina’s pernicious voting law creates modern-day poll taxes that recall historic failures in American democracy. The fact that the law’s provisions are designed to discourage political participation from segments of the state’s voting population speaks volumes about the “integrity” of North Carolina’s voter-ID proponents. **Note: The voter registration records noted here are contemporaneous with those data found in the North Carolina State Board of Elections’ April 2013 DMV report.